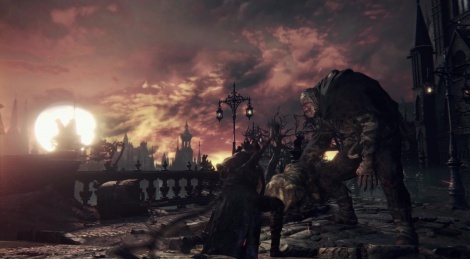 Bloodborne is coming next week on PS4 and From Software released this launch trailer. The game of games ! I hope the aliasing won't distract me too much. Im really jealous of people who don't mind these stuff as much as i do. The game looks awesome even though i wish it had a better AA technique. Do any of the people complaining about some "aliasing" (of which they'll probably not notice while playing), actually remember what the old games looked like?!? Yeah but i also remember what older footage of this game looked like. I remember impressive looking wet streets when i played it late last year, i don't recall seeing this aliasing. It's a shame...i also wonder why. GOTY already! Who needs the other 9 months? I think they probably toned down some effects to improve fps which is totally fine by me because the game still looks gorgeous. And it definitely had aliasing issues before. Other changes i saw are the change in time of day and more blurred backgrounds. As far as the wet streets there still in there i think. Btw does it rain in the game? They only said about snowy environments and changing time of day based on story progression. What are you guys talking about? GOTY will definitely be the new Zelda for WiiU ;). Awesome trailer , today or tomorrow I will have my copy ! Aliasing doesn't look that bad. I've seen far worse from PS4, Xbox One. Agreed, and I don't even own a Wii U. I do have bloodborne on pre-order via dell.com's $25.00 never ending gift card train. 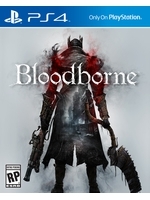 This game might!....hopefully it wont, but already delayed and still needing a day 1 patch...my big concern with this is framerate - noticably unstable in all actual gameplay footage I've seen from IGN's playthroughs last month. The comedic ragdolls I can handle, they've become the stable from these guys...sadly, poor framerate, to points of unplayability, have too - really don't want to see that carry over to this. Seriously, dark souls had framerate issues in one area. Thats about it. Good trailer,can guys get the extended tv trailer from sony? Demons souls is in my top games of all time so I have very high hopes for this game. I'm not nearly as fond of this slightly over the top borderline teenager focused style they are using but I can look past that if the game play and over all feel is still on the same level as the souls games. I was addicted to souls series and oh my god I want this soooo bad but don't have PS4. Gotta start saving money.